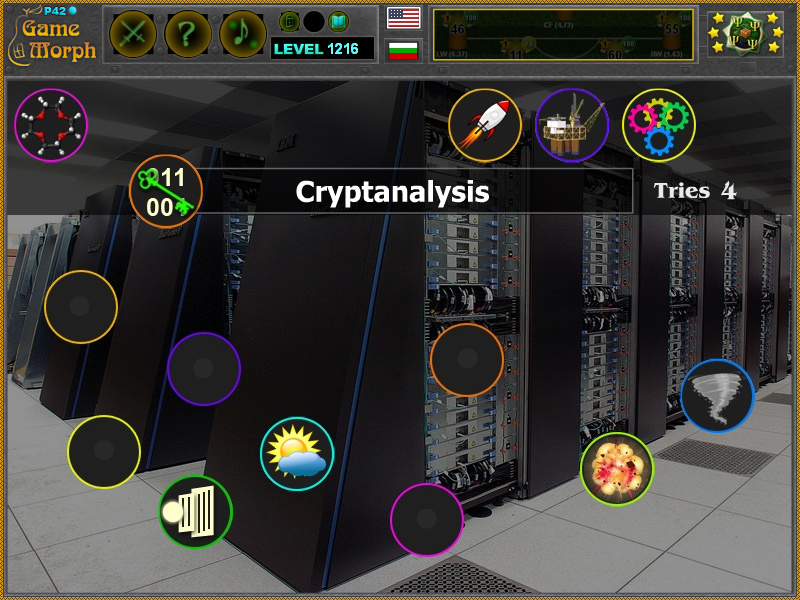 "Supercomputer Applications" is a free online knowledge level game to study the usage of supercomputers. Minute to win it game. Computer Technology Class for desktop computers, laptops and tablets, which may be played in the web browser. Sort the purpose of the supercomputers by color. Computers learning game, suitable for online classes and interactive lessons. Free online educational game. Lesson 1 for 9 grade clasroom game. How to play Supercomputer Applications. There are 9 pictures at the top of the screen, representing different field of usage of the supercomputer. Drag and drop them in the socked with the same color. Sort all 9 applications to win the game. Know what supercomputers are used for and get +1 Knowledge Level. From Wikipedia: A supercomputer is a computer with a high level of performance compared to a general-purpose computer. Supercomputers play an important role in the field of computational science, and are used for a wide range of computationally intensive tasks in various fields, including quantum mechanics, weather forecasting, climate research, oil and gas exploration, molecular modeling (computing the structures and properties of chemical compounds, biological macromolecules, polymers, and crystals), and physical simulations (such as simulations of the early moments of the universe, airplane and spacecraft aerodynamics, the detonation of nuclear weapons, and nuclear fusion). Throughout their history, they have been essential in the field of cryptanalysis. 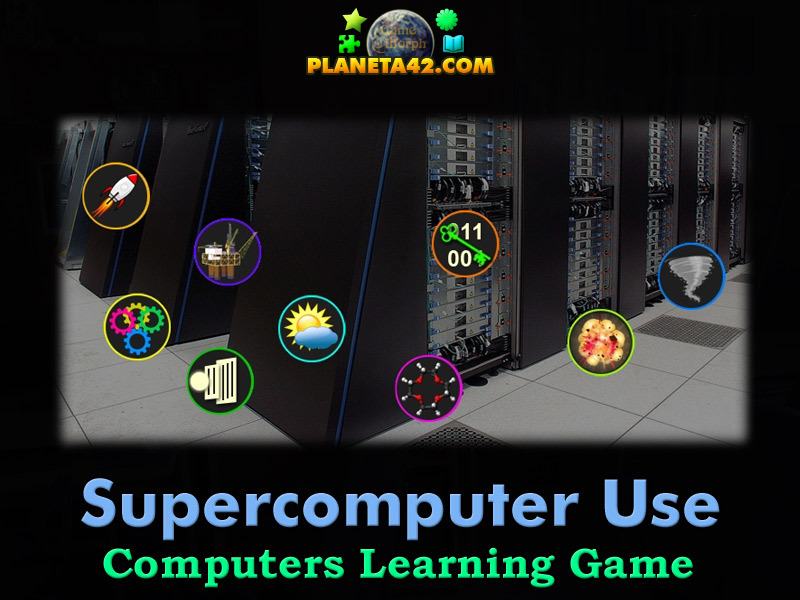 This fun classroom game is an exciting occupation for the Supercomputers lesson. Labels: Games about Computers , Classroom Games , Mosaics , CS Games , Education Games , Computer Science Games.